Now I that have some virtual assistant/blog management jobs I’m realizing that I like these better than having a gazillion writing jobs. They allow me to take a break from writing all the time which can become a little mentally taxing. I’ve also learned so many great things since I’ve been helping bloggers who are farther along than me. While I’m getting paid to give them a hand I’ve also been increasing my skillset which has led to increasing my own blog traffic and revenue! 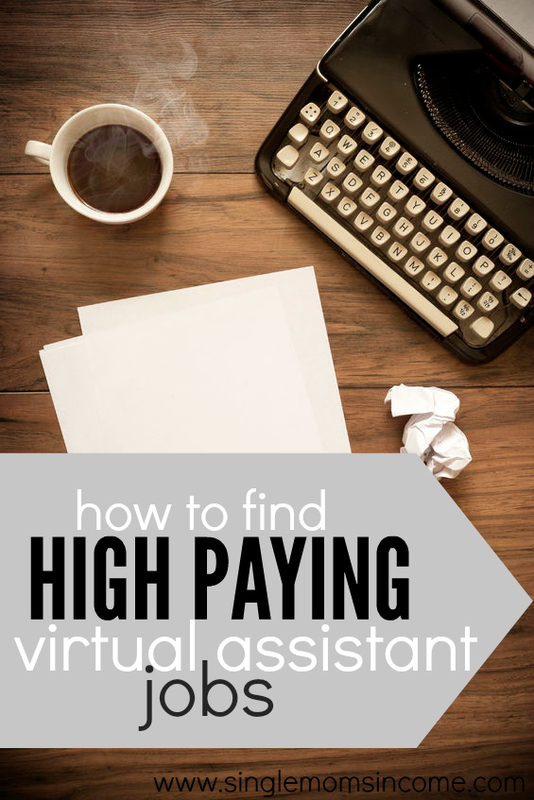 But the thing is, when it comes to finding virtual assistant jobs there are seriously a thousand or more different things you can do and ways to go about it. If you want to find a high paying virtual assistant job here’s what I’d recommend. When it comes to virtual assisting there are a ton of different options. You can do everything from helping a business owner schedule appointments, to dealing with someone’s email, scheduling blog posts, and handling social media accounts. Most businesses and or bloggers start out with a general virtual assistant. General virtual assistants do a host of things. After that virtual assistants are brought on according to their skills. For instance, one assistant might handle a specific social media network while another handles customer service. Your first step is deciding what you want to do. And you DO need to already have a strong skillset in this area. For example, if you want to help on the back end of a blog but have never used WordPress nobody is going to hire you. When I was building up my freelance jobs I did a ton of work for free. I can’t even count how many guest posts I’ve wrote in the last two years. Here’s a small list which isn’t even half of what I did. That’s a whole lot of free writing! And my skills have improved immensely since then – it was worth the effort. If you already have existing clients the best thing you can do is ask if they need more help. That’s how I got both of the VA/Blog Management jobs I have now. I was looking to earn more money so I decided to start by checking in with the clients who I liked and who I was already working for. As you can tell that strategy ended up going great! A lot of small business owners have trouble asking for help. Don’t be afraid to offer your services. Your existing clients might already be needing more help but are afraid to ask. You need to be the one to do it! The worst you can be told is no. And that’s not really all that bad. If you have no prior experience the best thing you can do is tap into your personal network. What business owner do you know who needs help? What businesses in your town could use the services you’re offering? Spread the message around to your own set of friends. Let everyone know what kind of work you’re looking into doing. Update your Facebook status every couple of weeks explaining your services. I am a super introverted type of girl. It’s not in my nature to ask people for jobs. I also knew that if I didn’t want to have a dead end job for the rest of my life that my only option was to ask! I have pushed myself so far outside of my comfort zone in the past two and half a years. And now the stuff that used to make me uncomfortable doesn’t bother me at all. If you’re too afraid to ask around and go for what you want it’s never going to happen. Sure you can sign up for VA companies like People per Hour or Elance but those are high competition and super low paying jobs. You’re worth more than that – skip those sites altogether. YOU are the only person who can make a difference in your own life. Nobody is going to come in and rescue you. The successful people you admire didn’t get handed their success on a silver plate. They went out hustled, pushed themselves out side of their comfort zones, and refused to take no for an answer. You have to do the same. Go out there, get some experience, and then ask for what you want! If you get told no then ask someone else. That’s how you get high paying virtual assistant jobs. Great post! I’m just getting started and wanting to work as a freelance writer and also do virtual assistant work as well to bring in more income. I was just thinking of virtual assistant work when I clicked onto your blog and saw this post…such good timing! While I agree that working for free is sometimes valuable, I would caution against doing it for too long. Do it while you build up your skill set, then know and demand to be paid your full value. I completely agree. Build up your skills and portfolio and then charge! 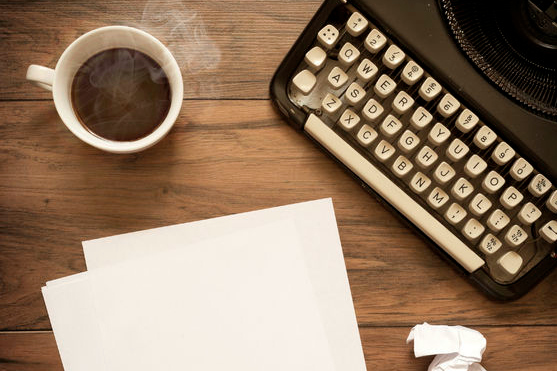 I completely undercharged when I first started freelance writing. Working for the right person can give you an incredible skillset so it’s also good that when you do the free work your doing it for someone who is already successful. Good morning, I am very interested in learning how to start freelance writing. I worked for a company for 25 years and was let go at the end of May. Are you interested in hiring an intern? I just finished reading Virtual Freedom by Chris Ducker. He outlines how VAs can clearly give the business/site owner some leverage. The biggest takeaway for me was seeing how to build a VA team and realizing how VAs free you up for a purpose…to create killer content (or focus on whatever it is you do best). I can see myself heading in this direction when the time is right. Great tips, Alexa. For the blog management, do you ever get into advertising? For example I’d love to work with someone who has some skill at approaching and contracting advertisers to work with some of my sites. Yes. And I reach out to companies for this blog if I’m interested in a certain product (like a free cell phone 🙂 ) But I also reach out to companies for giveaways etc. Great post Alexa!! These are wonderful tips and I think that they will be really helpful to people trying to do this type of work. I’ve been a physical admin assistant for over 5 years, and in hoping to gain experience in the VA market. 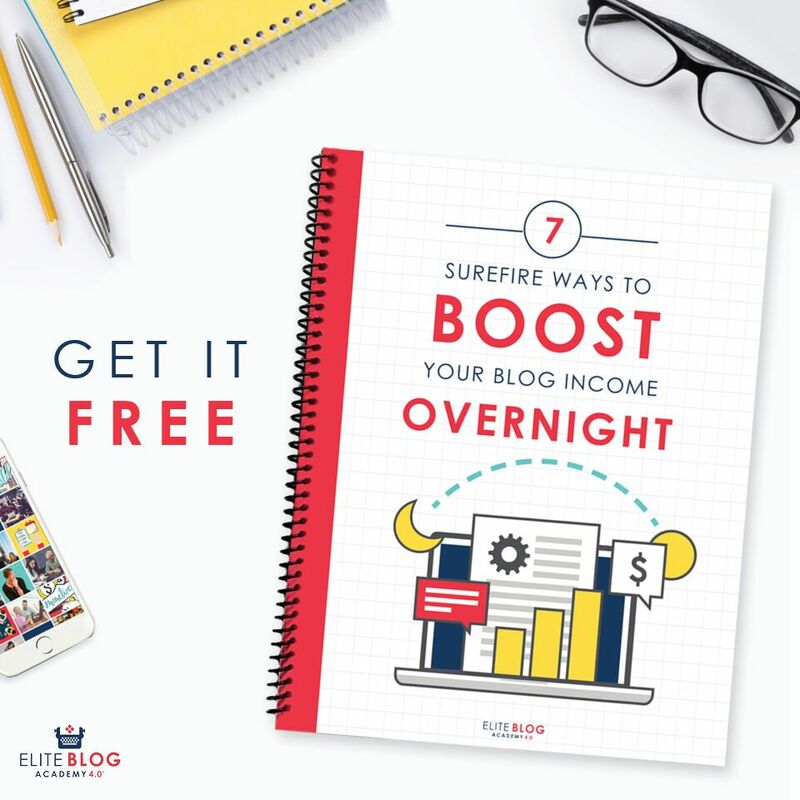 If you are interested in seeing how to utilize one for your blog, I would love to talk to you! I’m stuck at home with autoimmunity issues and no formal college education to speak of due to my health. This may be something I seriously consider as a method for some extra cash. I kinda knew this existed since I have seen people’s blog comments moderated by an “assistant”, I never knew what it was called. Thank you for the helpful article! Hello I’m currently working as an adinistrative assistant for a Fortune 500 company. I am interested in starting my own VA company. I’d be interested in learning how to find training to become a VA I’d even be willing to assist for free! Please contact me with any help you may be able to provide. Thank you!! Do you find VA’s are generally only paid for/when they work- or is another option a base “monthly retainer”, that may include a certain, limited, number of hours of work, with additional hours or other “services” (specialty- like photo editing/on-call after hours/last minute deadline, etc) also available at pre-set rates. I like the latter set-up, because with a few guaranteed clients that have you “on-retainer”- your promise to the client is that you will limit the number of clients you contract with- therefor being available to them when they need you. Thank you for your advice! I am not a single mom lol and Pinterest somehow lead me to this website. I recently started my own side business that is in a field completely different from what I majored in college because my full time job is quite soul sucking and low paying. I have been doing this for 4 months now and am just getting the hang of telling people about what I am doing and why I am doing it. For financial stability, more time, more friends, and all that good stuff that just seems impossible in today’s work focused society. What really resonated with my about your post is the last point, If you don’t ask the answer will always be “No.” I think after reading this I will stop giving myself excuses why I shouldn’t ask, but tell myself all the reasons why I SHOULD ask. Anyways, I love what I have read so far and want to apply your advice to my personal development. Can I ask that I email you personally and share with you my business? I usually don’t take the time to comment on blogs, however I noticed that you actually respond to the comments left behind which is so awesome! Very inspiring article, especially on offering your services, I agree with the part of that we should be the one to do the asking. If they’re going to get help, why don’t offer your own service right? Anyway, great tips and pointing out what should we do as a VA to get a high pay. Good read. Very informative article. Do you think wesites like freelancer or upwork are trustable source of virtual assistant jobs? how do we find jobs online if not via website? I’ve heard good things about Upwork but have no personal experience with it. I found few small jobs on Upwork but they deleted my account after 1 years because I applied for too many job and had no luck..instead of helping me to find any job..
Hi. I want to be like you! You are already there on where I want to be. I recently gave up my Accountant position in a hotel and resort company here in Subic because I delivered my third baby. You know what, I still wanted my job but then when I was still working it came to me “what if I try to be a freelancer and earn more”. I have lots of responsibilities in that company I just skip that thought every time. Then came the moment I need to take my leave because I’m due soon, I heard from my co-workers they decided to replace me. Discrimination included pregnant women now, I was so disappointed and appalled. They concluded my leave will greatly affect the operation. I have given my best in doing my job and that’s how they just push you out of the window. So I let them do what they want, I will not benefit from inserting myself into a workplace that don’t want me anymore. How lucky they are, it’s been more or less 6 months now, they have not found a replacement for me. They want me back, I still do part time with them ‘coz no one will do what I do. I’m done with it, I planned to prosper in my career there but nothing happened so I want to take the opportunity to find a great VA job as an Accounting professional. Wish me luck!